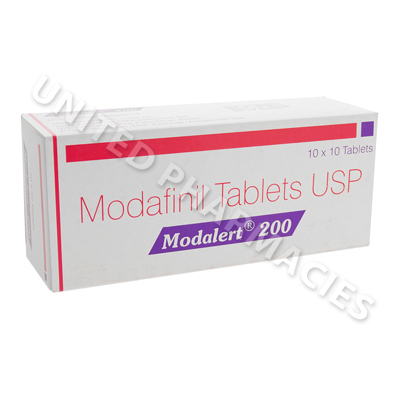 Modalert (Modafinil) is a central stimulant chemically related to adrafinil. It is used in the treatment of excessive daytime sleepiness associated with the narcoleptic syndrome, obstructive sleep apnoea, and shift-work sleep disorder. It is very popular as a study drug (nootropic), as well as for the other off-label uses such as ADHD, depression, chronic fatigue syndrome, parkinsons disease, firomyalgia, multiple sclerosis, cerebral palsy, and even weight loss. In the treatment of the narcoleptic syndrome or obstructive sleep apnoea, modafinil is given orally in a dose of 200 to 400 mg daily, in two divided doses, in the morning and at midday, or as a single dose in the morning. For the treatment of shift-work sleep disorder, the daily dose is 200 mg taken as a single dose 1 hour before starting work. An initial dose of 100 mg daily should be used in the elderly and adjusted as necessary. Do not use Modalert (Modafinil) if you are pregnant or breastfeeding. Consult your doctor prior to dosing if you have any history of psychosis, depression, mania, liver or kidney impairment of any kind, or Tourette's syndrome. 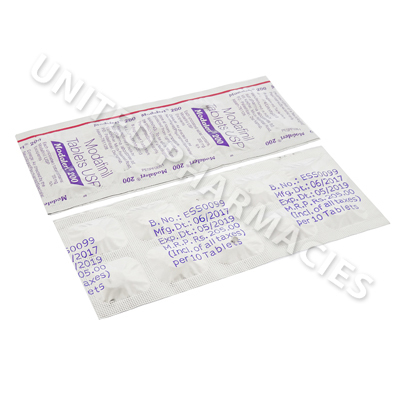 If you suffer from hypertension (high blood pressure) you will require increased monitoring while taking this medication. 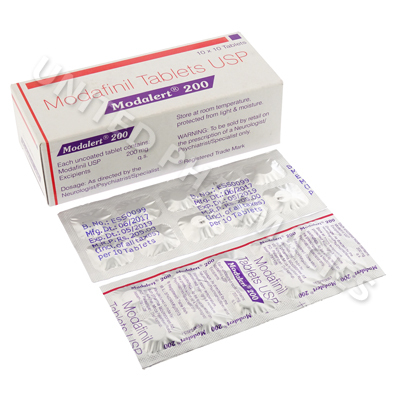 Always use Modalert (Modafinil) as you have been prescribed by your doctor. Never self-medicate or change your dosage without first consulting your doctor. The correct dosage can vary depending on your health, medical history, and the severity of the condition being treated.